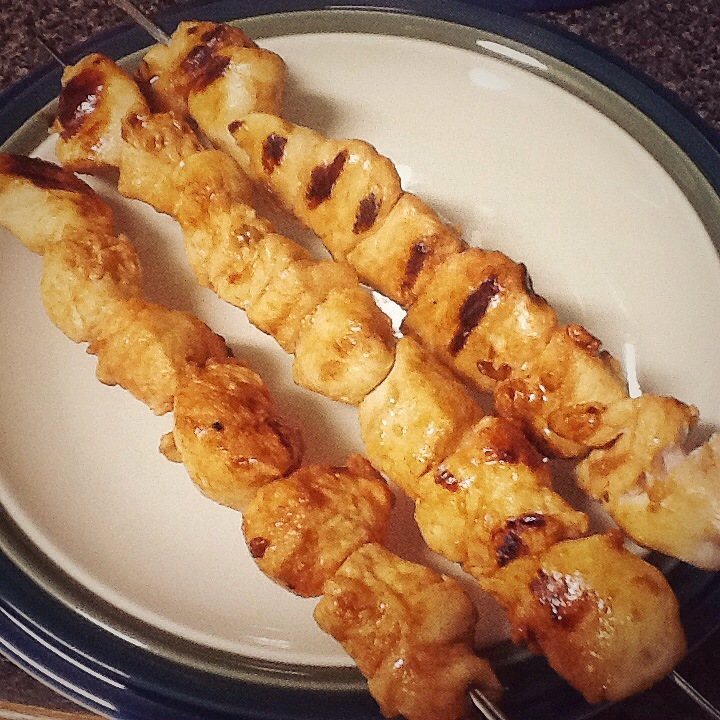 Monday Tuesday Munchies: Kebabs, Orange Chicken, and Dessert! Yesterday I spent my day pathetically sniffling at home battling the icky congestion bug that seems to be skyrocketing across the area. And back at school today, Now I’m at school and it’s been snowing for a few hours and school will be let out early. What a January! So although the sickness put me off of my exercise kick for a few days, we have still been eating well and have found some terrific new recipes! 1. Honey Lime Chicken Kebabs: These kebabs have a super tasty marinade and were easy to throw on the George Foreman! My only suggestion? Make more of them, and add veggies! We’re making these again tonight with onion chunks, green bell peppers, and mushrooms – YUM! 2. 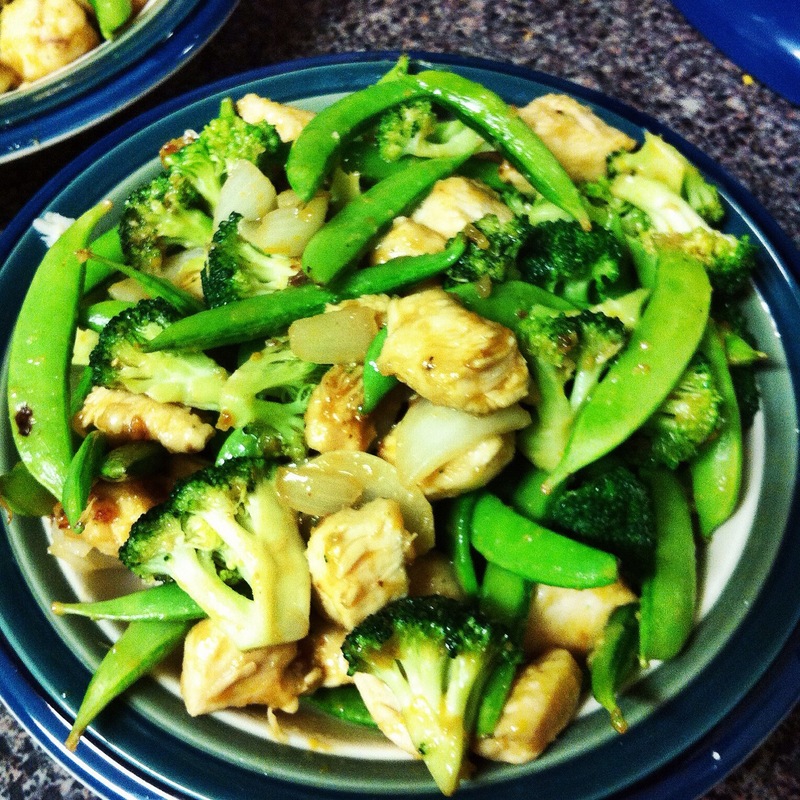 Orange Chicken Stir Fry: I love chicken fried rice, so this was definitely a relative I wanted to try to make. The sauce is wonderful and fresh, and I loved the combo of chicken, broccoli, snap peas, onions, and imaginary mushrooms (I forgot to chop mine up!). I would recommend boiling your chicken before hand if you’re anything like me, because with the high heat it was hard to get my chicken cooked all the way through without having everything burn.